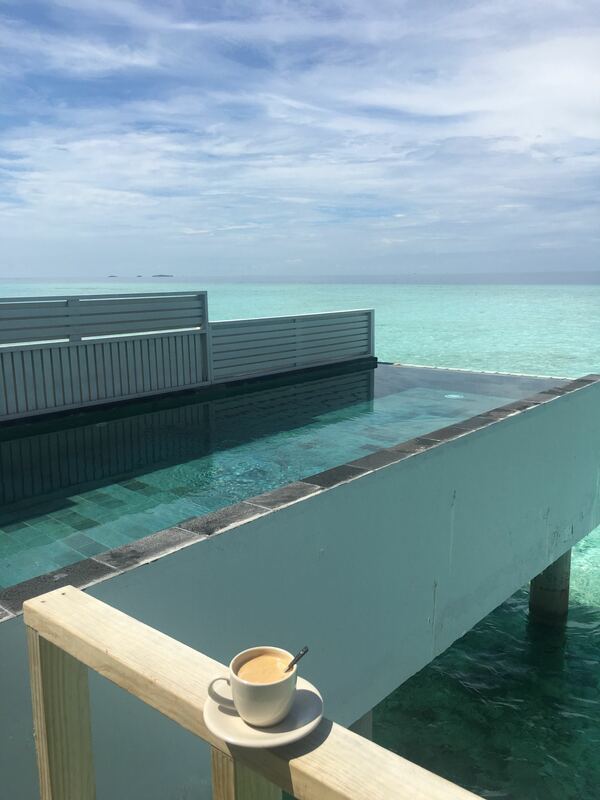 The Maldives is a dream destination and one of the most Instgrammed places on earth, a swathe of tiny coral islands (1,192 to be precise, grouped into 26 ‘atolls’) that boast pristine beaches and year-round sunshine. 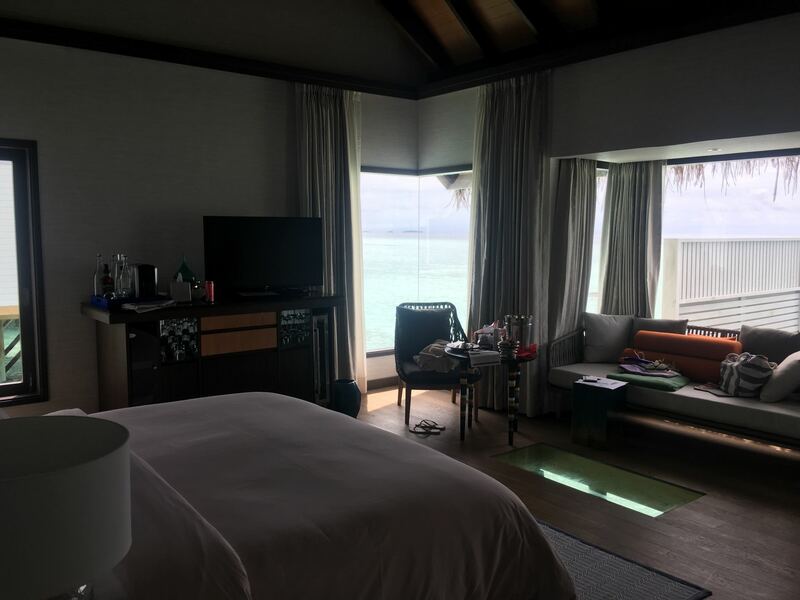 A few months back, my husband, Tom, and I escaped here for an indulgent week-long break, booking into one of the destination’s newest hotels, OZEN by Atmosphere – which only opened in July 2016 – and which promised luxury on a new level. 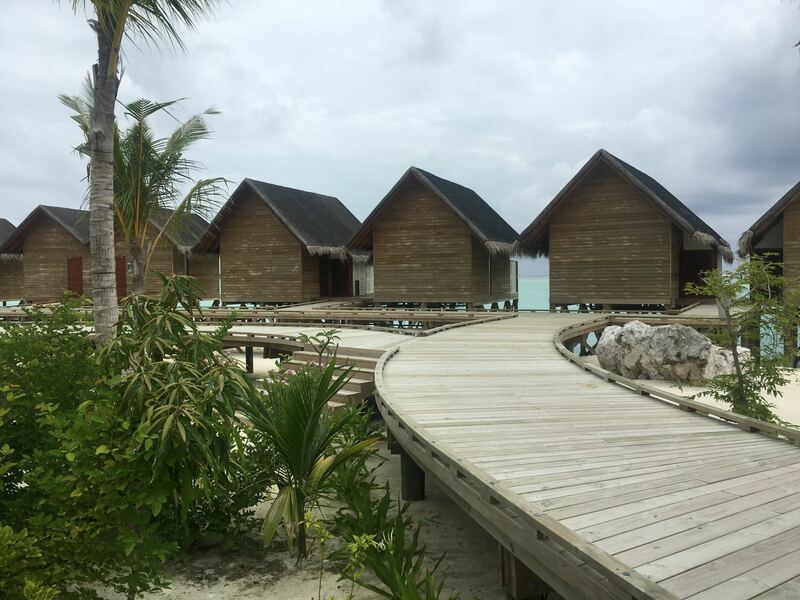 Found on idyllic Maadhoo Island, in the South Male Atoll, OZEN by Atmosphere was, until recently, little more than a tiny slither of sand and tangled jungle, a ‘picnic island’ for the use of other neighbouring resorts. 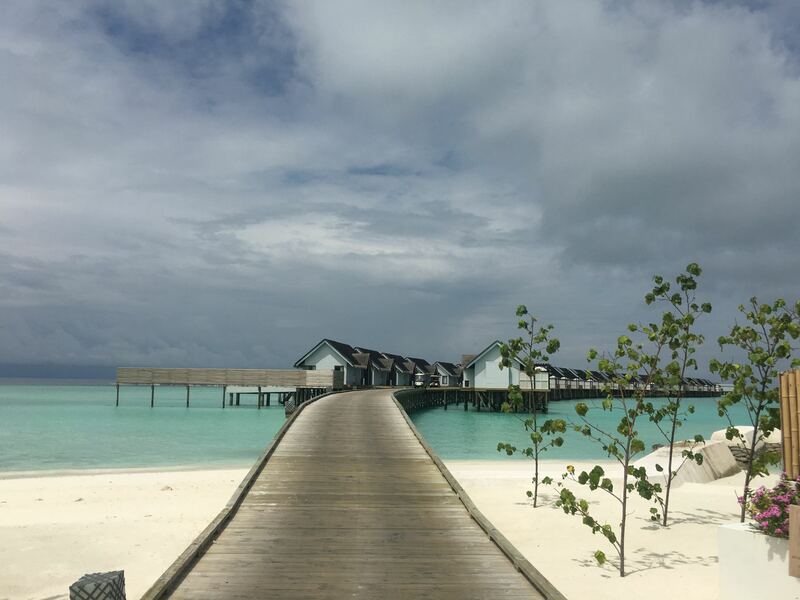 But thanks to an impressive two-year, multi-million pound construction project, it is now a chic, contemporary-style Maldivian hideaway and the most luxurious of the Atmosphere Hotels & Resorts properties (who own sister resorts Atmosphere Kanifushi and OBLU). The one sticking point is that the Maldives isn’t the easiest place to reach. The flight time is around 10 hours and we flew with Qatar Airways, which meant a three-hour stop-over in Dubai ( though you can pay more and fly with British Airways – the only airline that currently offers a direct flight). 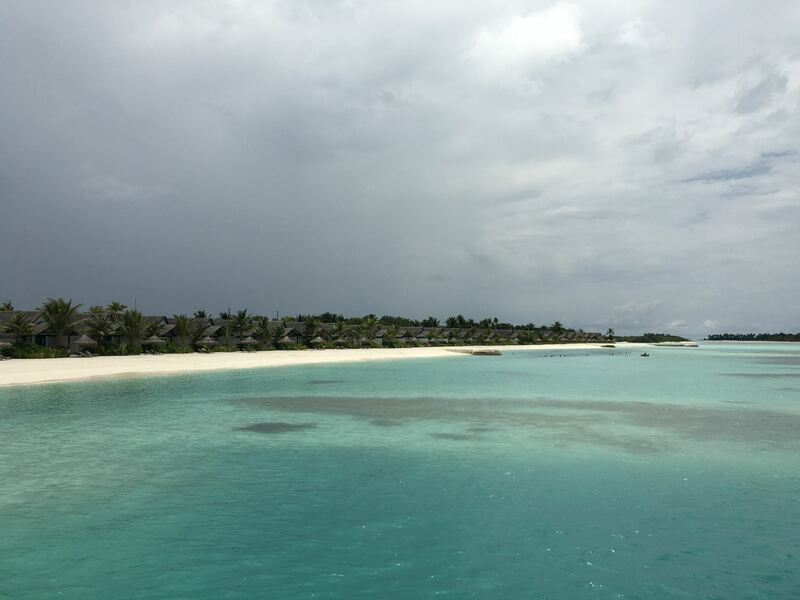 On arrival, we boarded a speedboat for the final 35-minute transfer from the capital, Malé, but our tiredness soon slipped away as we sped over the crystal clear waters past gorgeous desert island resorts. Maadhoo Island was just as spectacular. 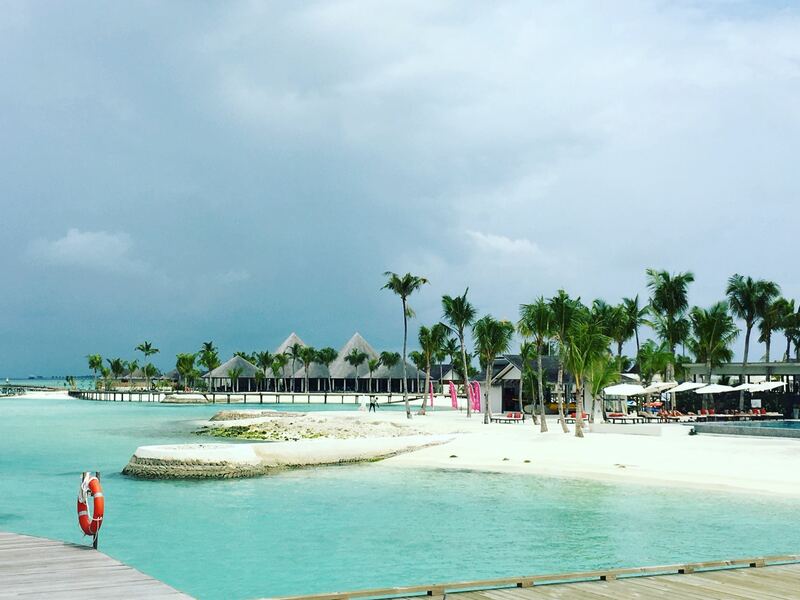 Pulling up to its palm-fringed white-sand beach was the best welcome we could have asked for – as were the cold towels, champagne, strawberries and complimentary foot massages we received in reception! We were whisked off in a golf buggy to our home for the week – a private ‘Wind Villa’, situated over the lagoon, and one of 90 stand-alone villas on the island (the other ‘Earth’ properties are on the beach). Another bottle of Champagne awaited us there, which we popped open while our own personal butler guided us through the highlights of the room and resort. 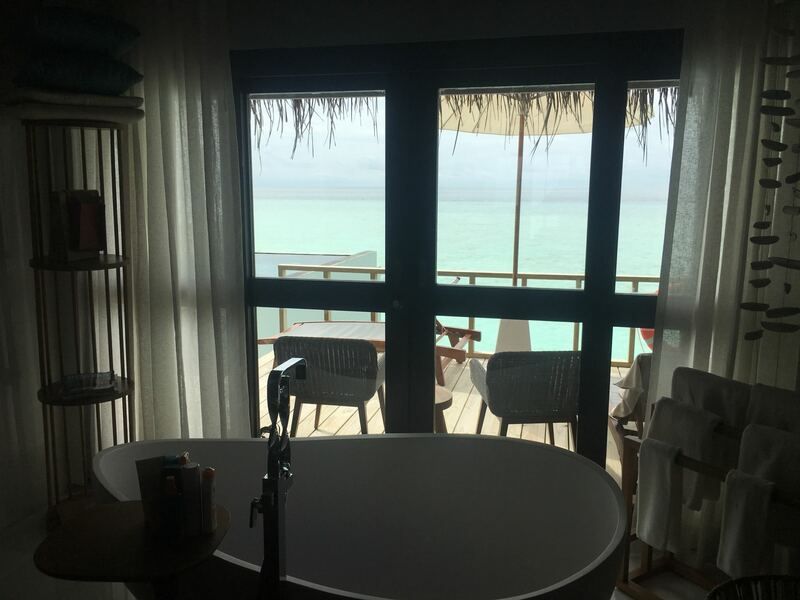 There was a separate dressing room and bathroom with a freestanding ellipse-shaped tub and waterfall shower, too, all fronting on to the shimmering turqoise lagoon. Out on our private deck, we found an eight-metre long infinity lap pool, the bottom of which lit up at night with hundreds of twinkling lights. It was definitely the most pimped-out pool I’d ever seen! Luxury is what OZEN by Atmosphere is all about and one of its huge selling points is its unique ‘Indulgence Plan’. 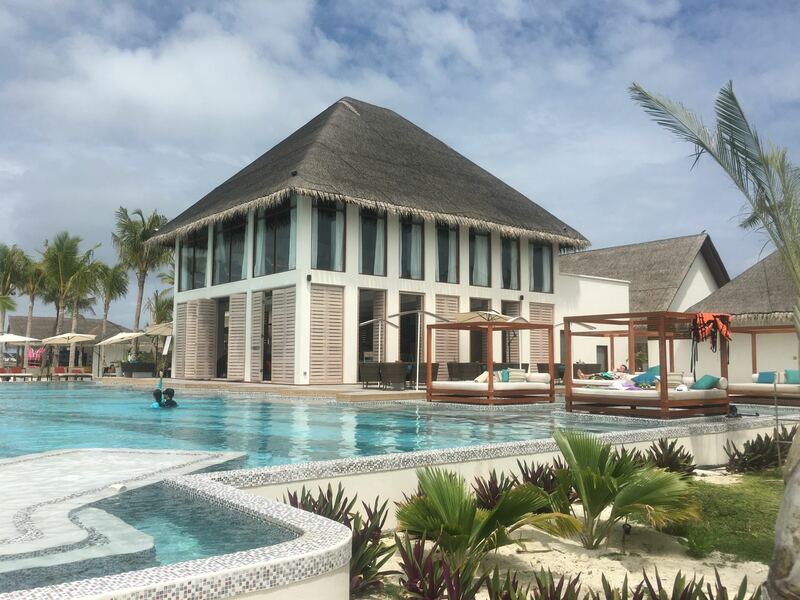 Unlike other all-inclusives, with their samey buffets and cheap house wines, at OZEN you can enjoy à la carte dining every evening, unlimited premium champagnes, wines and spirits, while activities such as snorkelling and sunset cruises, are all thrown in. Open-water diving and spa treatments at the ELENA Spa are also part of the plan (depending on the total number of nights you stay). 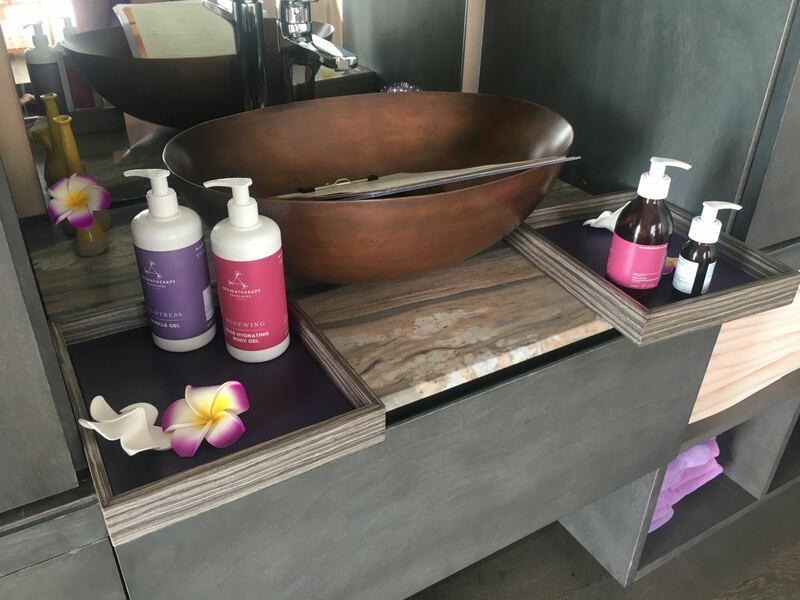 I decided to enjoy a spa morning, while Tom headed out for an open water dive, where he was thrilled to swim with whitetip reef sharks and manta rays. Even if you aren’t a diver, you can spot a wealth of fish just snorkeling, so it’s worth signing up for one of the twice-daily excursions to local reefs. 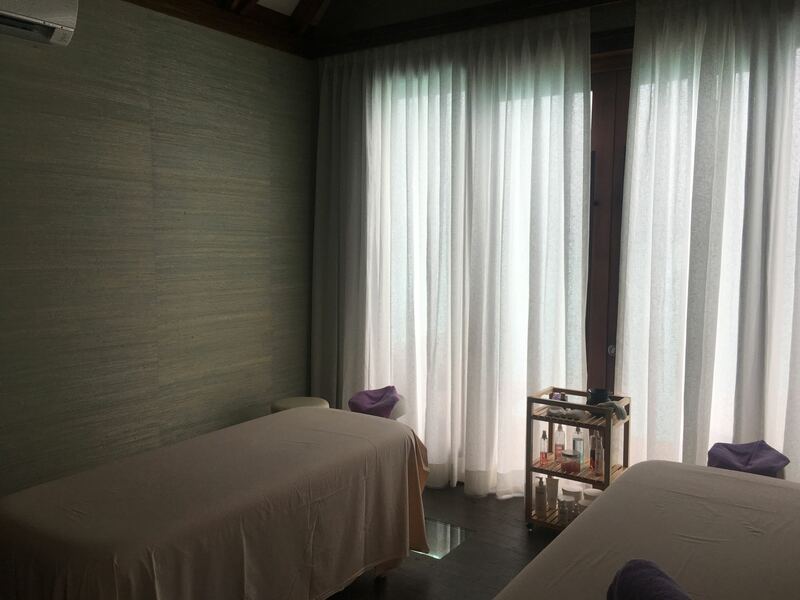 During my morning at the spa, I enjoyed a soothing Swedish massage using Aromatherapy Associates products in an overwater thatched hut. I opted for medium pressure and my therapist went to town, really kneading out the knots and tension. 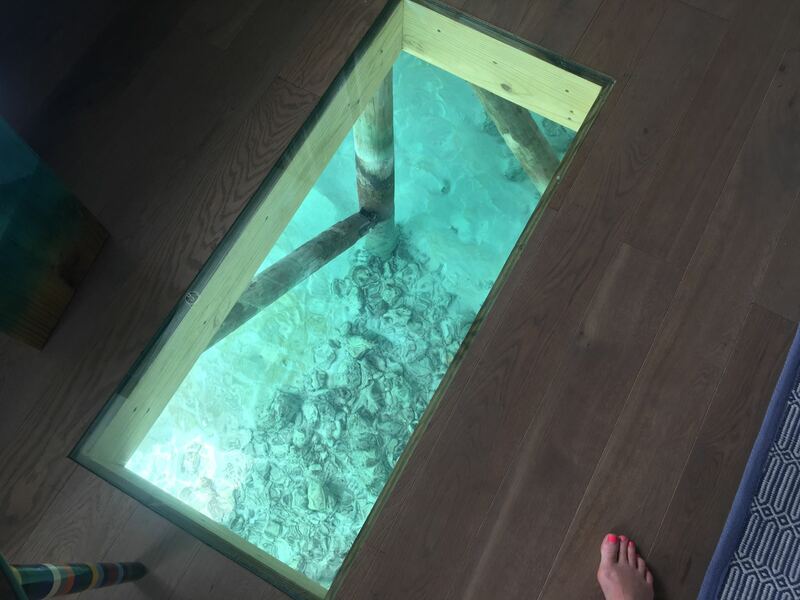 The treatment was only part of the experience, though – the views straight out to sea from the large windows were breathtaking, and when I laid down on the bed, I found that I was looking directly down onto the sea floor. 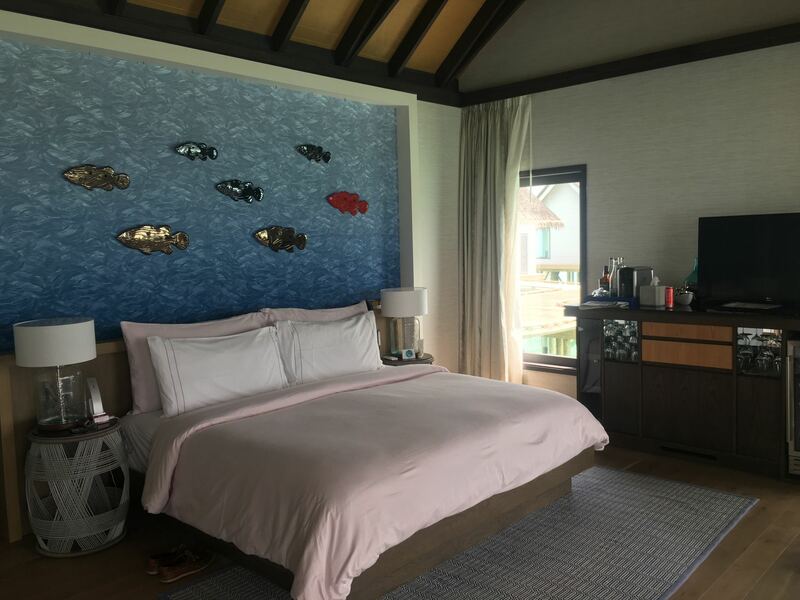 A glass panel had been inserted underneath the head of the bed, so I could watch the fish swim by while I relaxed. What a genius idea! Afterwards, I sipped from a mug of refreshing mint tea in a shaded seating area outside, overlooking the beach. As spa experiences go, this was pretty special. The Palms is the main restaurant, where you can enjoy buffet breakfasts and lunches, and evening meals. It’s more of a casual dining experience, though, so I’d advise booking ahead into the other restaurants (ideally on day one) to make sure dinner doesn’t get samey. Our personal butler was more than happy to do this for us. 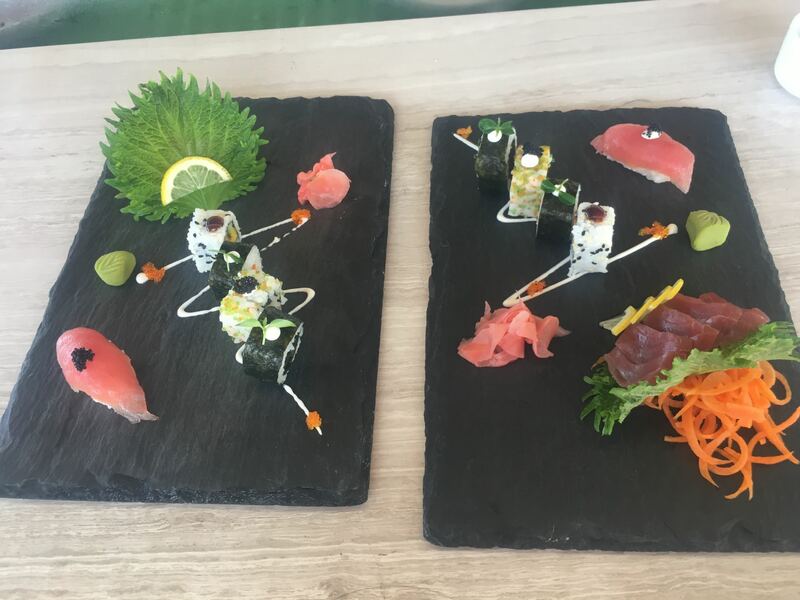 Our favourite lunchtime spot was RAW, where platters of sushi were served up like works of art, and we loved the South Asian fare at Traditions: IndoCeylon and Far Eastern dishes at Traditions: Peking in the evening, the restaurants set out on a jetty over the water. For a casual lunch (pizza/burgers), we often spent a lazy couple of hours at Joie de Vivre, which overlooks the main hotel pool, too. 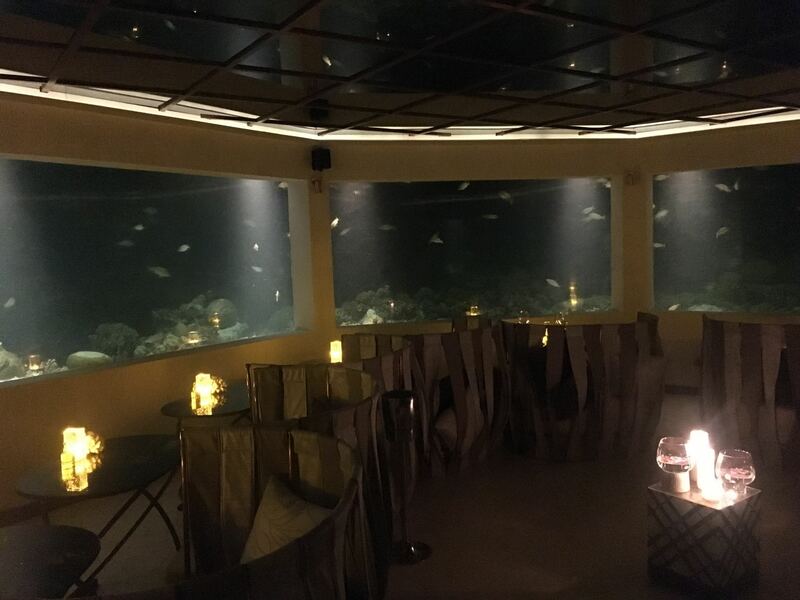 Additionally, all guests get one fine-dining experience at the resort’s underwater restaurant M6m. And it was phenomenal – one of the most memorable meals I’ve ever had and the highlight of our trip! 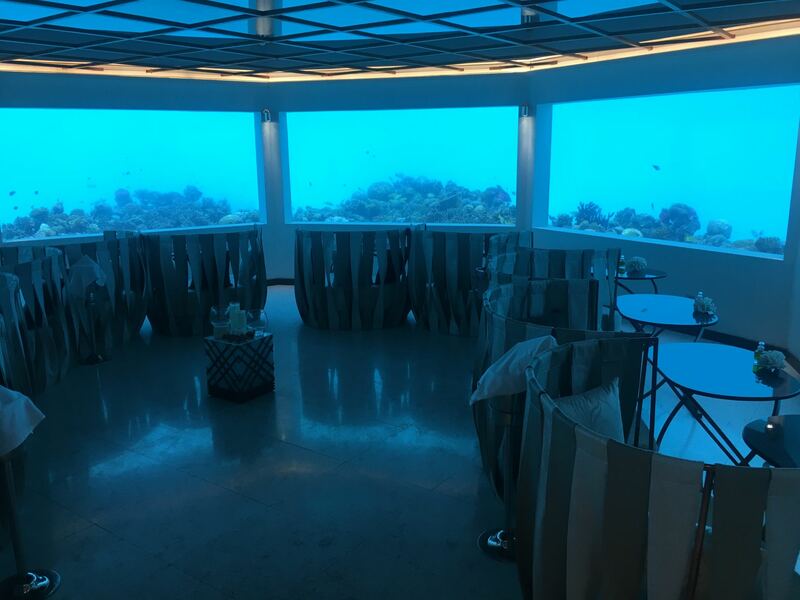 Six metres beneath the water, you access the restaurant via a spiral staircase and emerge into a circular room with huge glass windows, offering an extraordinary outlook on the underwater world. 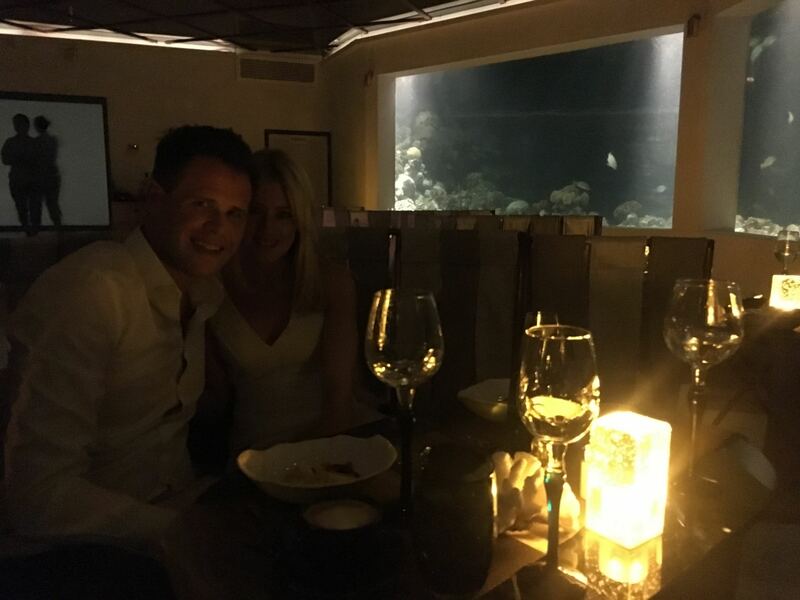 Reclining in our cosy, candlelit booth, we sampled artistically designed seafood courses on platters carved to look like the coral reef and sipped Tattinger champagne – all while boxfish and angelfish darted past in front of us. It was magical. While we enjoyed all the excursions at the resort, I felt that the champagne sunset cruise lacked a little of the luxury we were promised. Champagne was served in plastic cups and the boat was a traditional dhow – pretty to look at, but rather uncomfortable to recline in. A few pillows to sit on wouldn’t have gone amiss. Also, the resort does not have a house reef, so snorkelling from the beach (or from your over-water bungalow) is, perhaps, not as spectacular as it is at other resorts. 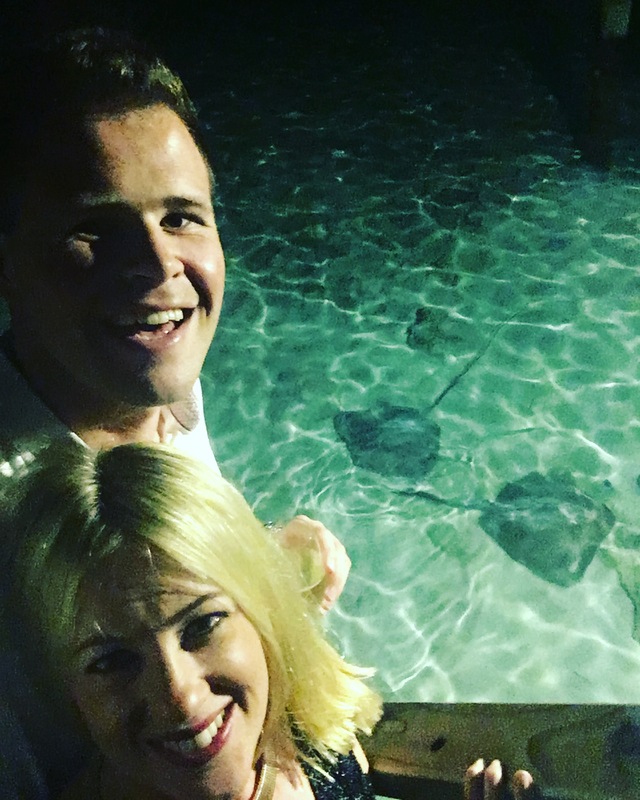 That said, we saw an abundance of fish and sting rays close in during our stay and we found the unlimited free snorkelling trips (to a variety of locations) a lovely extra. 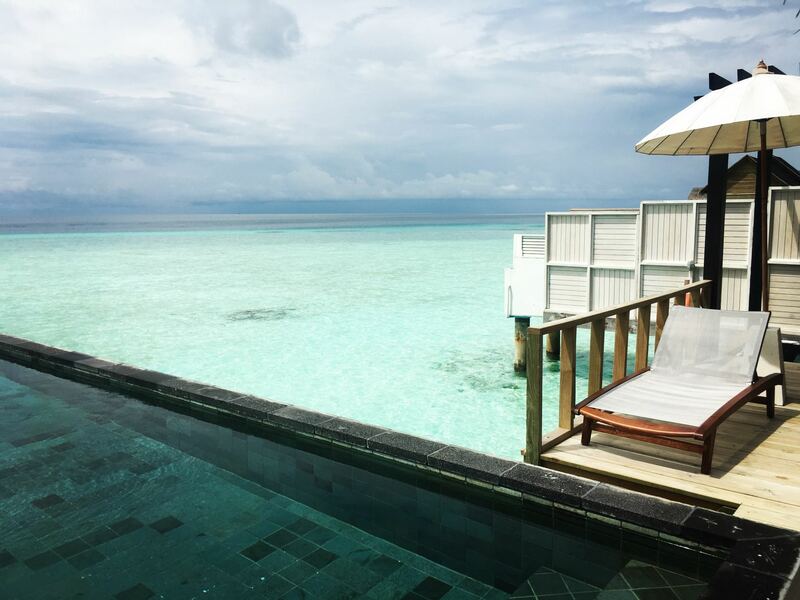 Hayes and Jarvis (01293 762 415) offers seven nights at OZEN by Atmosphere from £2,961pp, based on two adults sharing an Earth Villa for seven nights on the Atmosphere Indulgence Plan, including return economy class flights from London Heathrow and speedboat transfers.